As loving parents, it can be tough to watch your baby suffering from eczema. Beyond that, the constant itching can also affect your baby’s quality of life. 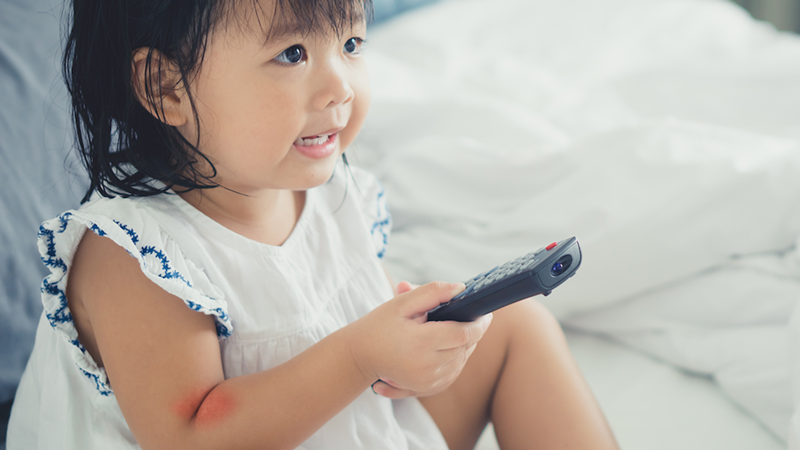 Learn more about the condition – and how you can help ease your little one’s discomfort. 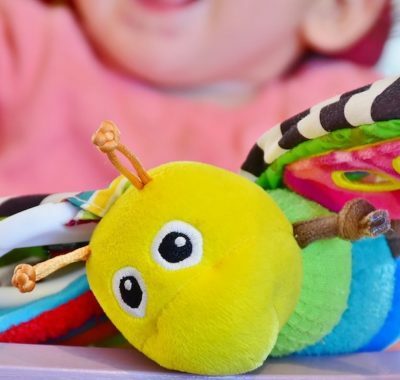 Coping with a baby who has eczema, a condition characterised by red, crusty patches on the skin, can take a toll on worried parents. There is a constant war to keep your baby’s mittens on so that she will not scratch herself till she bleeds. Then there is the lack of sleep, if the bedtime routine keeps getting interrupted by your baby’s fretting and fussing. Most of all, it is just heart-wrenching to watch how eczema can rob your baby of simple, daily joys whenever it flares up. Eczema, also known as atopic dermatitis, usually occurs before your baby is two. In fact, it is a common complaint in babies and young children – about 20 per cent suffer from the condition. The rash, either red and crusty or dry and scaly, can appear on most parts of the body, including the cheeks, scalp and hands, as well as crawling surfaces like elbows and knees. 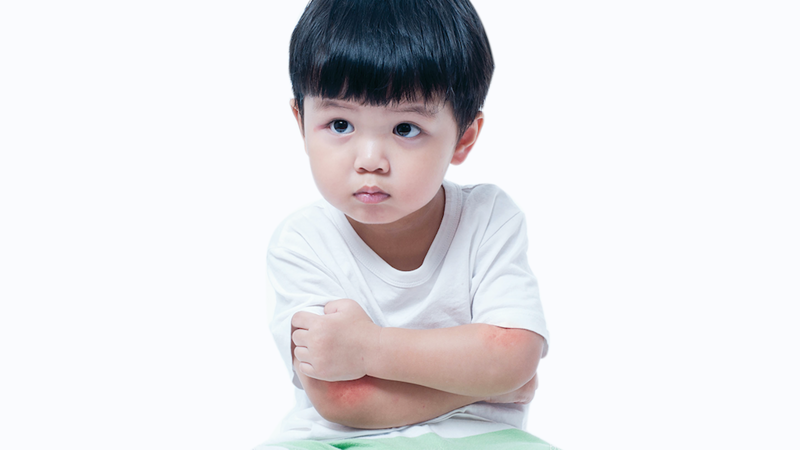 While the cause of eczema is unclear, it is often inherited. 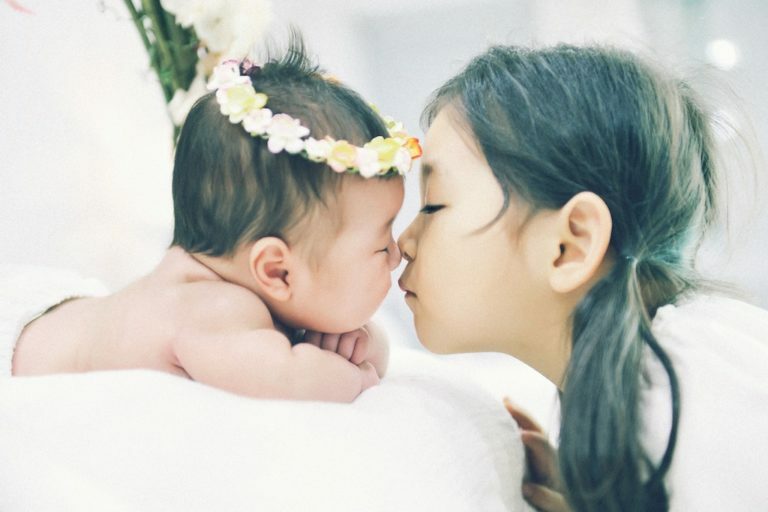 If your baby lacks the gene responsible for making filaggrin – a protein essential for skin hydration and the integrity of the skin barrier – moisture can easily escape when the skin barrier is compromised. This makes your baby’s skin vulnerable and prone to dehydration, leading to eczema. So many allergens or irritants in the environment can trigger eczema flare-ups and it can be challenging to identify them. Temperature changes, like heat and humidity, are potential causes. In babies, sweat, and even drool can also cause extra irritation to affected areas. Meanwhile, fabrics, dust mites, scented products, soaps, and pets can also aggravate your baby’s skin. Take time to try to identify the triggers for your baby’s eczema, and minimise them. During flare-ups, you can try applying cold compresses to the itchy patches before lathering on moisturiser. If you are breastfeeding, watch your diet. Allergenic foods can potentially trigger eczema or make it worse. While it is not confirmed whether allergenic foods do actually cause or aggravate eczema, it is worth trying to remove cow’s milk, eggs, soy, wheat and peanuts from your diet. If you are feeding formula milk to your baby, try offering hypoallergenic ones instead. With all that itching, it is inevitable that your baby may scratch or rub against bedsheets while she sleeps. This will worsen the rash, and even lead to an infection. To prevent this, trim her nails or let her wear cotton mittens and long socks. If you can, choose bedsheets and clothes made of non-toxic materials that will not aggravate the condition. Eczema can also be controlled through a good daily bathing and moisturising regimen. Start by preparing a lukewarm bath (not overly hot as high temperatures tend to dry out the skin more), and keep bath time under 10 minutes. 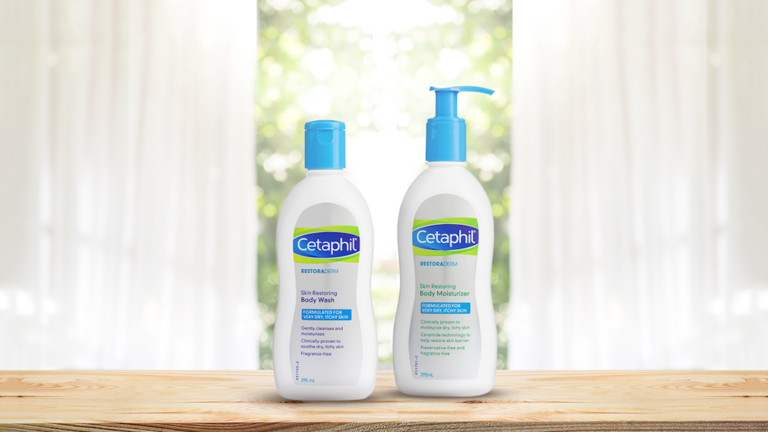 A gentle body wash and moisturiser like those from the Cetaphil Restoraderm range may be the ideal solution. Trusted by dermatologists, Cetaphil developed its first skincare range specially formulated for eczema-prone skin – Restoraderm – which contains Filaggrin technology ™ to hydrate, restore and strengthen the skin barrier. (Restoraderm is the first in Cetaphil range to contain Filaggrin technology ™ for eczema-prone skin.) Use Cetaphil Restoraderm Skin Restoring Body Wash to gently cleanse your baby’s body before applying Cetaphil Restoraderm Skin Restoring Body Moisturizer to soothe her dry and itchy skin. In a survey of 55 parents with babies aged 3 to 36 months, over 85 per cent agree that use of this two-step regimen over four weeks helps relieve their child’s dry and itchy skin. (Source: Simpson et al. 2012. Safety and Tolerability of a Body Wash and Moisturizer When Applied to Infants and Toddlers with a History of Atopic Dermatitis: Results from an Open-Label Study). Even as you tackle your baby’s eczema with home relief methods, do discuss your baby’s condition with your baby’s pediatrician. Sometimes, prescription medicine like topical steroids or oral antihistamines may be necessary to keep eczema under control. Your child’s pediatrician will also be able to keep a lookout for signs of infection, and prescribe medication if this happens.